At Dodge Jones Injury Law Firm we help people in eastern North Carolina obtain their Social Security Disability Insurance (SSDI) benefits. 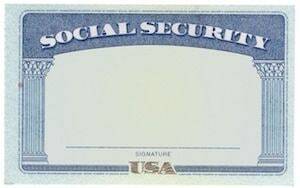 If your claim for Social Security benefits has been denied, contact our firm. We understand the financial concerns you have as a result of no longer being able to perform your past relevant work. We have represented clients who become disabled through a variety of circumstances, from traumatic events such as car accidents and work accidents, to chronic conditions which develop over time and may affect any number of body systems. 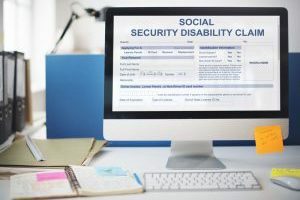 The Social Security Administration employs over 60,000 people, so it comes as no surprise that the system for filing a disability claim can be cumbersome at best, and confusing and frustrating at its worst. For many years our social security lawyers have worked hard to obtain favorable outcomes for disabled clients. 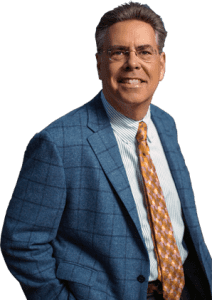 As your social security disability lawyer, we can guarantee that we will provide responsive legal services as a result of taking the time to listen to your concerns. The law defines disability as the inability to engage in any substantial gainful activity by reason of any medically determinable physical or mental impairment which can be expected to result in death or which has lasted or can be expected to last for a continuous period of not less than 12 months. The law further provides that a person must not only be unable to do his or her previous work but cannot, considering age, education, and work experience, engage in any other kind of substantial gainful work which exists in the national economy. In other words, a disabled person must have a medical condition which is either terminal or precludes any full time work for an entire year or more in order to apply for social security disability. Social Security uses a 5 step sequential evaluation process to determine whether a claimant meets the medical criteria for social security disability benefits. Step 5: The burden of proof switches to Social Security to establish that the claimant has sufficient residual functional capacity to do any other type of work. You pay into social security disability benefits with your paycheck. The benefits you are entitled to are based upon the 10 years you worked prior to becoming disabled. We work hard to ensure clients rightfully receive the benefits they have contributed to with their paychecks. The first thing you should do is call the District Claims Office (DO) in New Bern (800-772-1213) and apply for Social Security disability benefits. The DO will mail application forms to the claimant and schedule an appointment for a telephone interview in the near future. Claimants should retain a copy of any and all information submitted to the DO. After the interview, the DO makes an initial determination regarding which programs (DIB, SSI, etc.) might be available to the claimant. They ask the claimant to sign a receipt for the application which summarizes certain information including date of birth, onset of disability, marital status, etc. You should mark through any errors and write the correct information before returning the receipt. The DO forwards the application to DDS, a state agency in Raleigh that contracts with SSA to review and decide the medical issues of the claim. To do this, DDS gathers treatment records from providers listed on the initial application. DDS may write or call a doctor for more information. They usually contact the claimant or a third party for information such as activities of daily living, recent treatment, etc. DDS may also arrange and pay for physical or mental consultative examinations and, in some cases, order specific medical tests. DDS routinely denies the initial application of all but the most gravely impaired and terminally ill claimants. Most of our clients seek representation after DDS denies their initial application. The next step is to submit a request for reconsideration to the DO within 60 days of the denial. The DO then sends the claim file back to DDS for review by a different and more experienced disability specialist. We include as much information as possible at the reconsideration stage in the hopes of convincing DDS to pay the claim at this point. We cite every mental and physical condition the claimant could possibly suffer, submit medical records or doctor statements that were missed previously, add updated medical records and, in some cases, request a consultative examination. DDS denies most requests for reconsideration. The next step is to submit a Request for Hearing form to the DO. The DO then forwards the claim file to the area Office of Hearings & Appeals. We put every effort into winning the case at this stage, because the odds are best here. The hearing, before an Administrative Law Judge, is the only time our claimant can testify. Any appeals after the hearing decision are based on very narrow grounds, generally on the legal issues alone. The wait time for a hearing is long, usually anywhere from 12-18 months and sometimes longer. If you win at this stage and your case is not reviewed by the Appeals Council it will be sent to the local field office for payment. If you lose at this stage you can appeal the decision to the Appeals Council which can deny your appeal, remand the case for another hearing, or find you disabled. If you lose at the Appeals Council, your only recourse is to file a civil action in federal court. Contact Dodge Jones Injury Law Firm for more information.